Skydive Mesquite was founded in the fall of 2002. At that time there were no drop zones near Las Vegas. Don’t misunderstand. There were businesses that would take people on their first Skydive. They were just not actual drop zones. Skydiving is an incredibly diverse and incredibly close knit society. Drop zones are a place where skydivers (of 1 jump or 10,000 jumps) can gather and share their passion for life and skydiving. None of the other businesses in the Las Vegas area really let experienced skydivers jump, let alone hang out. We set up Skydive Mesquite as a center of Skydiving and Skydiving life. The skydiving family is a second, and sometimes tighter connected, family. It is made of people from incredibly diverse situations and walks of life, but they all share the same joy for challenging themselves in many ways. We are doctors, lawyers, construction workers, truck drivers, waiters, veterinarians, actors, ex and current military members, airline pilots, airline stewardesses, financial advisers, computer programmers, and just about any other sector of life you can imagine. From all these places we are connected and become one family through skydiving. 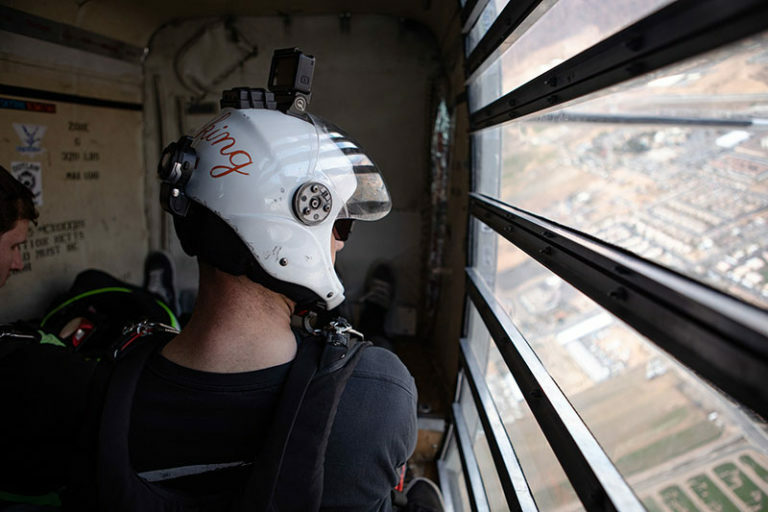 If you add up every person who skydives, including people who have only ever made one, you have a group that is much less than one percent of the population. 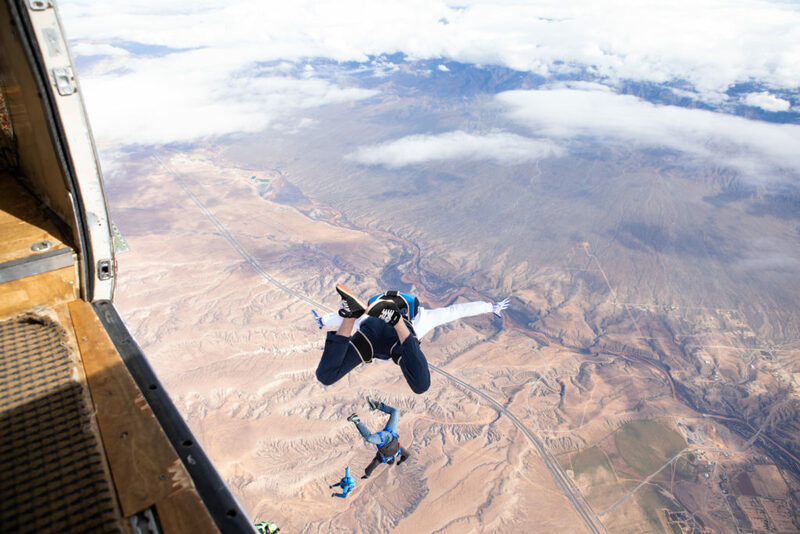 Being part of the “1 percenters” truly connects all that skydive. From the beginning Skydive Mesquite has been a place for skydiving of all levels. 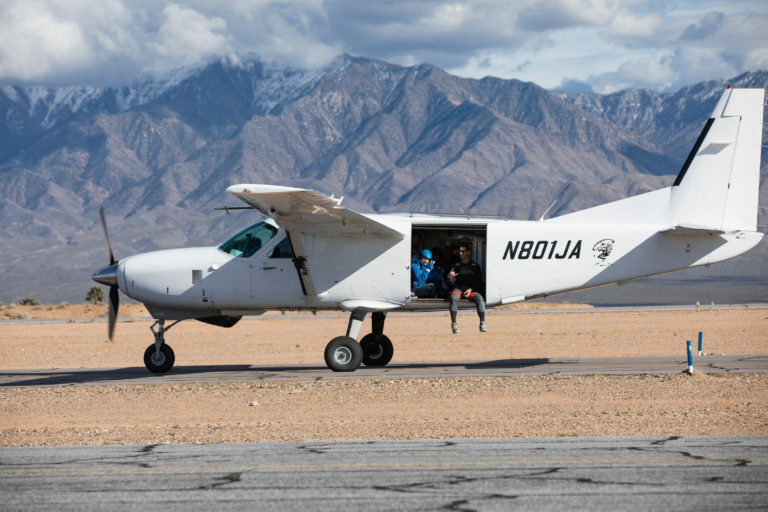 We take first time jumpers every day and we also teach more people how to skydive than anywhere else within 300 miles of Las Vegas. We take people who make their 1st jump and can train them all the way up to expert skydivers. As matter of fact we do it all time. 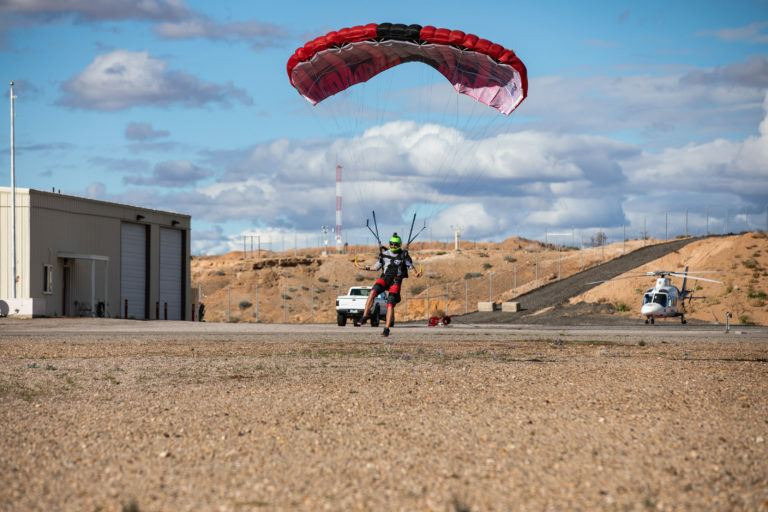 On any given day you could run into first time jumpers, jumpers with thousands of skydives, jumpers who are famous in the world of film, and even a few world champions. From day one the goal of Skydive Mesquite has been to be a place to celebrate skydiving, skydiving culture, and skydiving life. Nowhere else in Nevada can you hang out with everyone at the end of a day of jumping out of planes, have a beverage, and talk about how amazing the day was. That is what Skydive Mesquite is all about.